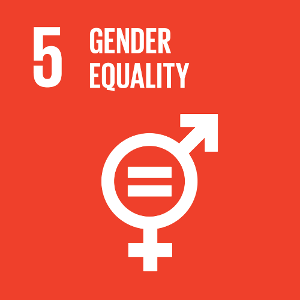 SDG 5 calls for the end of all forms of discrimination against women and girls. One area where this persists is the labour market. The gender pay gap, measuring the average difference in aggregate gross hourly earnings of women and men, is often used to gain an insight into progress towards tackling inequalities. 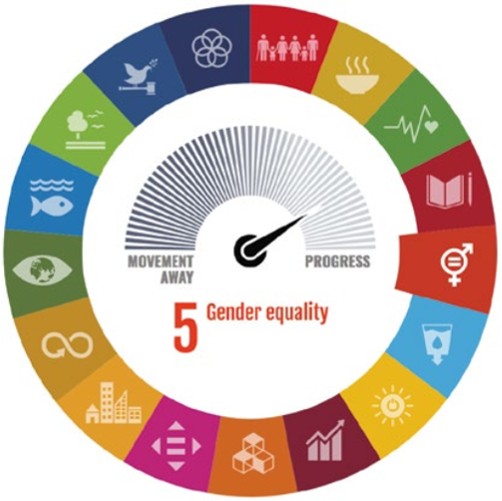 SDG 5 also calls for women’s full and effective participation and equal opportunities for leadership at all decision-making levels in political, economic and public life. The indicator on women’s representation in national parliaments helps to monitor these priorities. Equal participation by women and men in decision-making is a matter of justice, respect for human rights and good governance. It is needed to better reflect the composition of society, to strengthen democracy and allow it to function properly. One of the indicators we monitor relates to the reduction in the gender pay gap, since it is one of the EU gender equality priorities within the Strategic engagement for gender equality 2016-2019. 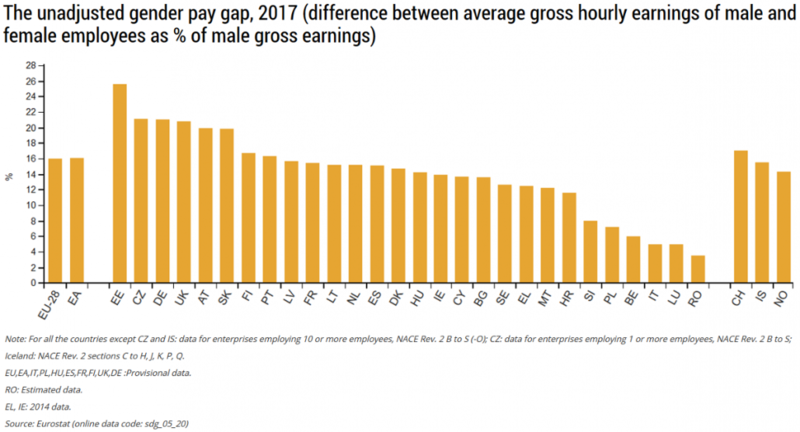 According to the Eurostat data for 2017, comparing the gender gap, Austria reached over the EU average with approximately 20% male earnings higher than female, while Croatia has among the smallest gender gap. The 2018 Report on equality between women and men in the EU by European Commission gives an interesting insight not only into equality trends and goals, but also into their drivers. 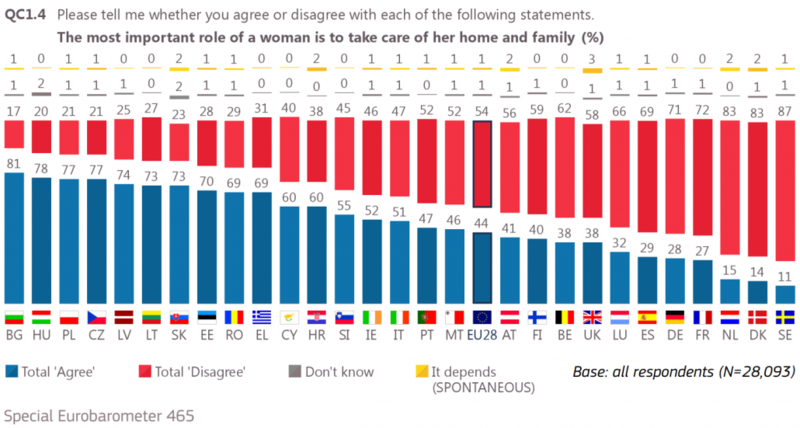 It is still quite discouraging to mark that even 60 percent of Croatian respondents and 41 percent of Austrian respondents in a survey think that the most important role of a woman is to take care of home and family. This is a very difficult bias to tackle in national efforts to raise gender equality awareness. The Global Competitiveness survey gives a valuable insight into labor markets, including the female participation in labor force. Austria scored a high 26th position of 140 countries with a score of 87.9, while Croatia scored 40th position with a score of 82.0, both with an upward trend. 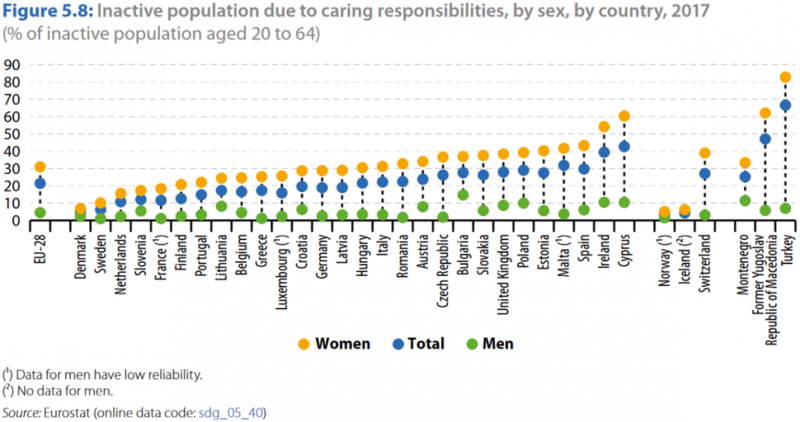 Statistics on inactive population due to caring responsibilities still indicate that progress can be made in both countries.